For Sheila Soule, living well means living optimally. 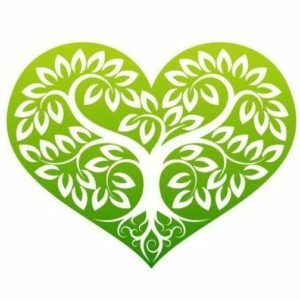 As the owner of Pure Heart Wellness, a full-range holistic service, Sheila understands that the paths to health and happiness can vary as much as the people seeking them. Fortunately, she is a skilled path finder. 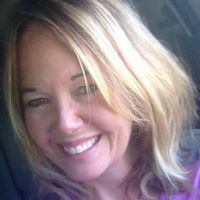 Sheila has her B.A.Sc in Clinical and Human Nutrition, is a Reiki Master, and has facilitated many wellness retreats, so she is ready and able to help you harmonize your body, mind, and spirit. Sheila’s approach is an integrative one, focused on self-discovery and customizing multi-modal strategies that encompass diet, energy medicine, exercise and lifestyle, and various wellness products online. 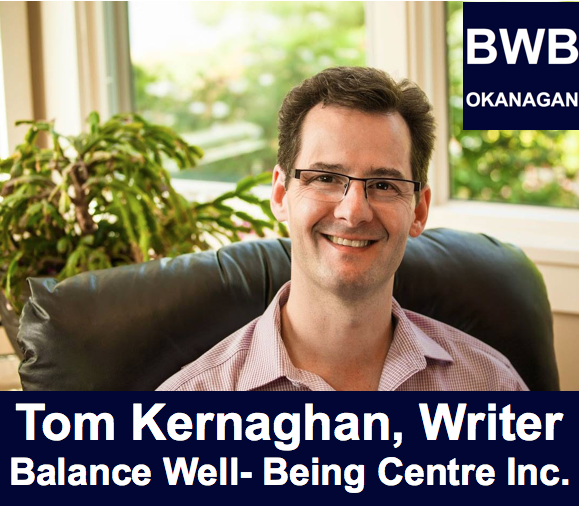 With over 20 years of experience in the healthcare field, she has established herself in the wellness arena in Kelowna. So we are thrilled she has offered some of her valuable insights with us. Let’s start with your essential commitment “to assist you to live a healthy, happy life.” This may seem an obvious goal for everyone, and yet building balance and finding well-being eludes so many people, even though most of us are familiar with the importance of diet, exercise, and lifestyle. Navigating all the information can be daunting. What are we missing? How do we tie it all together? Firstly, thank you very much, Tom, for the detailed introduction. That is a great question, and I will do my best to keep it succinct. 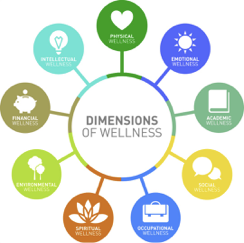 The key to health, wellness, and finding balance is multifactorial and very much specific to each client. There is no panacea for everyone as there are many variables in our lives. However, there are common actions that we can do to maximize health and wellness. What are some of the actions? Eat more consciously by consuming less in general while choosing more fruits, vegetables, lean sources of grass-fed meat, plant protein sources, and healthy fat sources like avocado and olive oils. Hydrate with proper amounts of good, clean water. Exercise through cardiovascular workouts and with weights that are right for your own body. More is not always better; sometimes too much exercise can damage joints and cause premature aging due to the cascade of free radicals produced. REDUCE STRESS through yoga, mediation, optimal belly breathing, gardening, walking in nature, and calming the mind in a way that works for you. Stay connected to others — family, friends, and contacts in our community. What is the missing piece? The missing piece to achieving health and wellness is so different for everyone. I feel that our beliefs play a part in this; i.e., old limiting beliefs and stories we tell our ourselves. The environment and epigenetics hold another piece to this puzzle. We need an environment that is conducive to supporting our physical wellbeing. While genetics plays a role, we now know that epigenetic factors can alter the path of ancestral diseases. Current research shows us just how capable the body and brain are at adapting to change. And the exciting field of neuroplasticity reveals the amazing healing power within our own bodies! Belief in self-healing, neuroplasticity, and epigenetics are only some of the key missing pieces. Personal growth is also at the root of all wellness. And let’s not forget stress! I’ll include this pictograph of the wellness wheel, which I love as it illustrates how much many of us are doing in our lives. Stress is one of the biggest causes of disease in the body and mind. Statistics show that stress-related diseases are growing exponentially, and this includes chronic physical and mental conditions. Your testimonials are thoughtful, detailed, and quite telling of the supportive relationship both you and your husband, Allen, have toward clients. One line stood out for me was this: “If you feel drawn to heal yourself…” There is a lot in that, I think. People have to want to heal themselves, and be ready to do so. Talk a little about this perspective and how your heart-based approach aligns with it. That is a very good question! You’ve hit the bullseye. People need to be open to allowing themselves to self-heal. Self-healing is the key. Usually clients come in for a specific reason after a stressor — a crisis, loss, or relationship issue — has triggered a deep response, like pain, and they are seeking different alternatives. Clients often arrive with one intention and are very surprised that what they came in for was not really what needed healing. Rather, that ailment or problem guides them deeper within, where they find a closer connection to self. It’s like turning on the light bulb after it has burnt out. It turns out the ailment was a blessing in disguise! Encouraging a client to motivate themselves toward reaching and maintaining a physically optimal state with healthy food, clean water, fresh air, and appropriate exercise. Guiding a client to release unhealthy influences and find an emotionally/mentally aligned state that eliminates negative patterns and beliefs, and infuse them with hope and a positive outlook. Lastly, energetically facilitating a client to feel and be in a higher vibration with their energy using Reiki, breathing, yoga, meditation, and other approaches. Usually, if I can get someone to a higher energetic state then the rest will follow. All this does require baby steps and motivation, and also work from the client. This is not easy, but it is necessary for personal growth. Ultimately, many are relieved when they release grief, trauma, and old pain. We often make it so complicated, but when we release the self-imposed drama and break it down, it’s really quite simple. That’s why I like the holistic integrated health model combined with evidence-based outcomes, as it combines science and spirit in a tandem dance. My heart-based approach is first and foremost. Hence the name Pure Heart Wellness, and my company mission statement is facilitating my clients’ highest and best outcomes with love, compassion, and kindness. I’m going to put myself into the story a bit here. We share the same amazing alma mater, the University of Guelph! Had you told me then that one day I’d leave Ontario and move out west, I would’ve raised an eyebrow. But life’s challenges, like finding well-being, can be a wild journey. What drew you to the Okanagan, and what has the experience meant to you? Well, Tom, that’s funny because we may have been at U of G at the same time. Yes, what a wonderful university! However, the expression “Go west, young man/woman” holds true for both of us, right?! I left Ontario during the recession in the early 1990s after visiting Vancouver. I came back from a trip, quit my job, and packed my bags. I spent 15 years in Vancouver and then relocated to the Okanagan when I was pregnant with my second child, Rowan. I was drawn here for several reasons: the beauty of the lake and mountains; the distinct four seasons, with way less rain than on the coast; the great community that was friendly and family oriented; and it was more affordable as well. The experience of living here has been amazing, as well as meeting great people and discovering some gorgeous hiking trails. You compared the wild journey of life and its challenges to finding well-being. I like this phrasing. The journey to health and well-being provides a platform for everything else, like how much vitality, passion, and joy we can bring into each day, to live well in all aspects of our lives! We like to finish our profiles with a bit of fun, personal information. Is there something unique about yourself you’d like to share with our readers? My personal life right now is very full. I just got married! And I’m a busy mother of two teenagers, Paige and Rowan, and a feisty dog. Every day I learn from them how to be a better person, how to love them more, and how to have more patience! I love cooking with no recipe, hiking the various unique trails that surround us, and I love to travel. My next travel-want places are Peru, Costa Rica, and Ireland. I write stories about people, businesses, and communities so that people will remember what makes them uniquely powerful. This entry was posted in BWB Member & Partner Profiles by shawna. Bookmark the permalink. Copyright © 2019 BALANCE WELL-BEING CENTRE INC. All Rights Reserved.